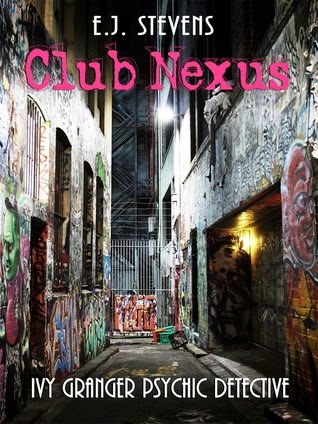 Just like all the other books in the Ivy Granger series, I absolutely loved Club Nexus. This is a collection of four short stories, but they are all about the same event from four different point of views. I have always loved this technique for story tellings. I love when a book offers multiple points of view for the reader to fully understand everything. In the beginning there is a note from the author that advises the reader that the best way to read these stories is in order and I absolutely agree. The story gets better and better as you read each point of view and as more and more evidence is piled up. The reason is works so well to read them in order is because it goes from smallest to biggest impact on the story as a whole. The first two stories Iced and Dusted are from the point's of view from two small, side characters that we haven't met before in the series. 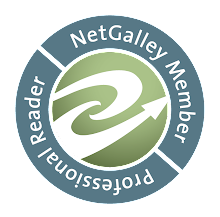 They offer a small amount of insight into the story as a whole, but without their stories wouldn't understand everything. The next two stories Demonized and Jinxed are the ones that play the biggest impact on the story, because they are the points of view from two permanent characters in the series, but it's not Ivy. By reading it in the order that is suggested you get more and more involved and attached to the story. It truly builds up as you read and then you come to the ending. I absolutely loved and hated the ending. I won't give any spoilers away, but if you read it you will completely understand. I loved it because it was so full of emotion and something happens that I have been wanting to happen in this series, but then something else happens and it just killed me. Everything before the ending is such a great fix for those craving more from this series, but then the ending hits you and all you feel is this need to read the next book. I cannot wait for book 3 to come out, because I need to read more from this series! I completely loved this edition to the Ivy Granger series. It was such a good fix for my withdrawals on waiting for book 3, but then that ending happens and now I'm craving to read it even more! I highly recommend this for those who love the Ivy Granger series and I highly recommend you read the short stories in the order that E.J. Stevens has set them up, in order to get the full effect.